This week we’ve been joined by Jake on a work experience placement. He’s been working with the different teams to get a taste for how we work, and to explore areas of marketing within an integrated agency. As part of his time with Content, Jake has carried out blogger and influencer researcher, and written about his findings. Online media in today’s digitally active age has become an innovative instrument for companies and individuals to connect with customers, followers and the public. 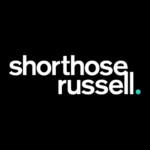 Whilst here at Shorthose Russell, I have had the opportunity to do some deeper research into bloggers and the way they inspire their audiences. Whether it be an analytical blog as a piece of feedback, or simply a routine update on someone’s life and experiences, blogs are connecting people with audiences in increasingly unprecedented ways. Ella’s journey started with a personal blog, detailing her new and unique plant-based diet. Her blogs gained momentum and evolved into a business. Over time, her business had helped her produce an app, establish a plant-based food deli, write a NY Times bestseller and become home to a growing social media community. Ella was motivated and driven by the purpose gained in her blogs, helping her overcome mental and physical difficulties from a terrible condition, which had hospitalised her for four months. Investing in a new plant-based diet and blogging her journey along the way inspired up to 130 million large audience to subscribe to her blogs. As well as achieving huge social and human benefits in advocating plant focused, healthier dishes, Ella’s blogs act as an example of the commercial potential of blogs and the way they can revolutionise the growth of a multi-platform business. Known for best being an ex-Special Forces point man and sniper, and Chief instructor on Channel 4’s ‘SAS: Who Dares Wins’, Ant Middleton is someone who I follow on Instagram, who too updates subscribers on his journey, and draws inspiration from his past experiences. Recently his bestselling book ‘First Man In’ has gained mainstream media attention, including interviews on news shows such as Good Morning Britain. Ant’s story is certainly an interesting and entertaining read. Thanks to the ever-increasing contact opportunities offered by online media, Ant can post regular videos, photos and stories of his motivational tips, live speaking gigs and travels. After the success of his book, Ant was able to use social media updates to not only create business, but also connect with followers in ways incomprehensible just 10 years ago. DevinSuperTramp is a YouTube channel I have subscribed to, which creates extreme sports and adventure videos. The channel is driven by Devin Graham, who started creating videos for fun with friends. Today, his channel has amassed over a billion total views, and he has collaborated with huge names in YouTube such as Brodie Smith and Lindsey Stirling. Not only do the videos inspire other video makers and editors, his philosophy of easy living and adventuring are visible in every video. Commercially, sponsorships from sports and technology brands, such as Reebok, Mountain Dew and Timex, sustain an effective business model. The widely popular videos also undoubtedly create publicity for the scenic locations showcased in his videos. Favourites include Urban Kayaking in British Columbia, Frisbee Adventures in Utah and Hawaii in 4k. So, what have I learnt from the experience of Bloggers and online personalities? Certainly that, as we move further into the Digital Information age, people are more and more intrigued, and marketed to via online ideas and accounts of experiences. For some people it gives a taste of what they want to experience, but perhaps cannot. For others, bloggers may act as role models- Many bloggers are effectively developing themselves into a commercially viable brand, and with a personalised audience that bigger chains may struggle to access. Looking to the future, it will be interesting to see how such a concept of personalised branding and online stories influences marketers and business activity.